Psychological friction can manifest in several ways, including feeling isolated, stereotyped, or feeling that one doesn’t belong (academically, culturally, or socially). These feelings of non-belonging shape the psychological experiences and achievement of students (e.g., Walton & Cohen, 2007; 2011). In 2018, in collaboration with LSSSE, we added validated survey items to a pilot LSSSE module to examine students’ experiences of belonging, belonging uncertainty, and stereotype threat in law school. Indeed, this kind of collaboration is just one example of the many fruitful ways that researchers interested in studying legal education can work with LSSSE to conduct important empirical research on legal education. All students face challenges in the transition to law school, from developing new friends, to learning the legal concepts and professional skills explored in first-year courses, to building relationships with professors. But law students from disadvantaged social backgrounds, including racial and ethnic minority students and first-generation college students, may wonder whether a “person like me” will be able to belong or succeed in law school and the profession. One consequence is that when disadvantaged law students encounter common difficulties in the critical first weeks and months of law school—such as critical feedback from professors using the Socratic method, difficulty reading cases and materials, difficulty with legal writing exercises, or an absence of feedback—these difficulties can be interpreted as evidence that they may not belong or can’t succeed. This negative inference can become self-fulfilling for all students—and especially for students from disadvantaged social backgrounds. By analogy, one study with a large group of undergraduate students found that pre-college worries about belonging in college (e.g., “Sometimes I worry that I will not belong in college.”) predicted full-time college enrollment the next year, even controlling for high school GPA, SAT-score, fluid intelligence, gender, and other personality differences (Yeager et. al., 2016). While law schools seek to enhance and maintain student success, an almost-exclusive focus on cognitive predictors of success neglects other important social, contextual, and psychological factors—such as belonging in law school. Using LSSSE data, our research team found that students’ sense of belonging influences their law school satisfaction and grades, above and beyond the effects of LSAT score. We believe that law schools may be fertile grounds for social psychological interventions. 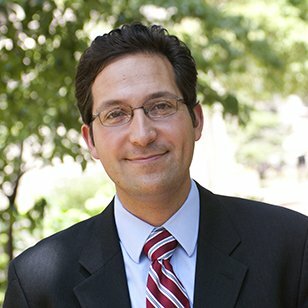 “Wise interventions” focus on changing students’ construals of their environment (Walton & Wilson, 2018), and these may improve students’ sense of belonging and academic performance in law school—especially when coupled with changes in some of the structures and practices that dampen relationships and belonging in law school.